Stephen Frosh is Professor in the Department of Psychosocial Studies at Birkbeck, University of London. He has been an academic for a long time but was also a clinical psychologist for twenty years, including ten years as a Consultant in the Child and Family Department at the Tavistock Clinic. He has written a lot of books, and has carried out research on psychoanalysis, young masculinities, and Jewish identities. He has spoken many times at Limmud, where Freud seems to remain a popular topic. Stephen co-founded Yeladenu Preschool with Emma Cravitz and remains Chair of the Management Committee there. He was also Chair of Muswell Hill Synagogue for many years and remains an active member there. Stephen’s wife, Judith, is a psychotherapist and they have three grown-up sons, who all went to Hillel and JFS. Sub-committees: Chair of Governors, Head’s Support and Evaluation (Chair) & Finance and Staffing. 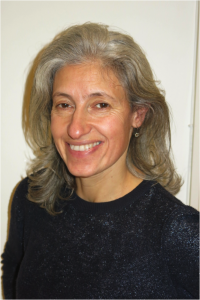 Emma Cravitz is an educational psychologist who has worked with children in many London schools. Deeply committed to the principle of inclusive Jewish education, she is the co-founder of Eden Primary, having first discussed it with Peter at a bus stop in 2009. She co-founded Yeladenu pre-school, and is also a Governor of JCoSS. Emma has a particular interest and expertise in special needs provision. She lives in Muswell Hill with husband Roger and children Charlie, Mia and Leo. Sub-committees: Vice-Chair, Admissions (Chair), Finance and Staffing and Achievement, SENCO Link, Premises, Fundraising. Gavin Presman is a founding governor of Eden and our current Chair. Gavin’s love of learning and Jewish wisdom came from home and Habonim-Dror (a Youth movement), rather than from school or synagogue, and so when offered an opportunity to be involved in a school that could inspire a wider community, he jumped at the chance. Gavin is a father of 3, and husband of Juliette. He runs his own business, Inspire, helping people get more from their work and employers get more from their people. He is inspired by the work of Tikkun, Tzeddek and Limmud, and he loves motorbikes, cooking, camping, and a friendly sing-song, as well as a nice single malt. Sub-committees: Head’s Support and Evaluation (Chair) & Finance and Staffing. 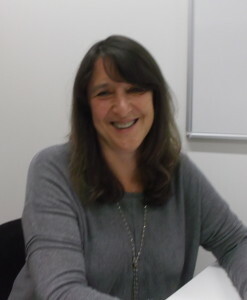 Rebecca Taub was a researcher for Jewish communal organisations, among them the CST and Jewish Care. She has since undertaken courses in workplace mediation which have proved useful in settling arguments between her children. Rebecca and her family live in East Finchley, and she enjoys Drama and performance. Paul Dossett is a Governor of Eden Primary with a particular focus on finance. Paul is a partner at Grant Thornton and specializes in public sector work. 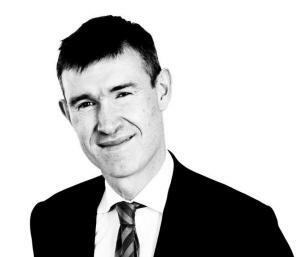 Paul is the Head of Local Government for the firm and is the partner responsible for the audit of the London Borough of Haringey. He has worked with public sector bodies for nearly 30 years and has a particular focus on ensuring that there is proper governance over public funds. Paul chairs the Finance & Staffing committee and is keen to ensure the school maintains strong finances and strong financial controls. Sub-committee: Finance and Staffing (Chair). Lawrence Bloom became a Governor after attending an early meeting about Eden. Very quickly he became passionate about helping to turn the dream into a reality. By day Lawrence runs his own Legal Recruitment company. By night, he can often be heard shouting for his beloved Man U on the TV (but don’t hold it against him). At the weekend Lawrence enjoys going on walks in the woods with his wife Emma, children Ruby and Ronnie, and shaggy dog Bamba. Lawrence is a keen cyclist and nothing makes him happier than a friday night dinner. Jen Brodkin has been working in schools for 15 years. Having trained at the Institute of Education, she has worked in schools in Islington and Enfield and is now a Deputy Headteacher. Jen was elected as a parent governor and brings to the table her professional viewpoint along with her less professional parenting skills. When not involved in schools, Jen can usually be found running to and from Sainsbury’s, baking flat sponge cakes and killing off her house plants. Steve Miller, Community Governor, is an educator, social justice activist and community consultant. 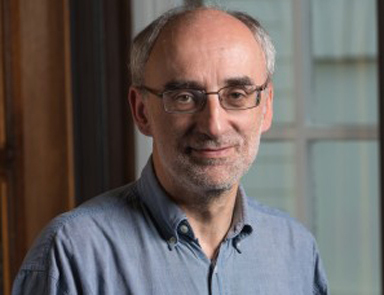 Founder of several organisations including Tzedek, the overseas development charity, and Restore Community Projects, a large furniture recycling project, Steve has served as a director on numerous non-profit Boards, and also previously served as a Governor of a Haringey primary school. 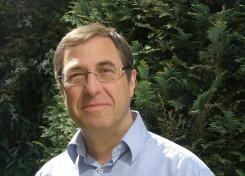 Steve has been active in the Jewish community over many years including running the Limmud festival in its early days. He lives locally in Muswell Hill, is excited by the ethos and approach of Eden School, and its strong community feel. Jo Sassienie is the Head Teacher of Eden Primary and serves on the Governing Body in an ex-officio capacity. She attends as many of the sub-committee meetings as she possibly can and is strongly supported in her work on the GB and committees by other members of the Senior Leadership Team. Jo has been on school governing bodies as a teacher Governor or Head Teacher since 1992. You can contact any of the governors by sending an email to the school and marking it for their attention.